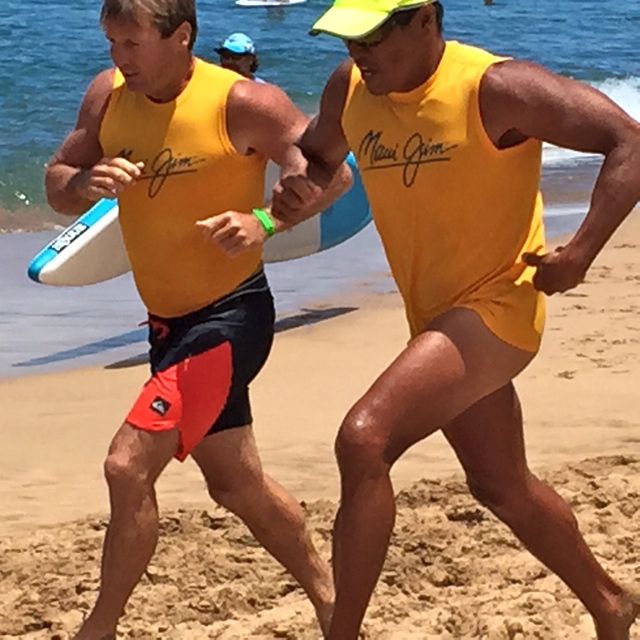 Ka’anapali Beach, June 7–A whole lot of muscles were on display and in use at this weekends Maui Jim Oceanfest on Kaanapali Beach today. Here some of the top athletes in this event including some from Australia run, paddle, and run some more to gain one of four top prizes. MORE COVERAGE TO COME FROM VOICES OF MAUI TALK STORY, LLC and its various enterprises: Lahaina News column, Joys of Kaanapali Photo Blog and four books in the Voices of Maui series.